Freedom Network USA engages with federal agencies and lawmakers to advance a human rights based approach to human trafficking. We promote policies that address the root causes of trafficking, guarantee the protections and rights of trafficked persons, and encourage survivor leadership in efforts to combat human trafficking. Freedom Network USA has provided the Department of Homeland Security with information and examples of the continuing barriers in accessing Continued Presence (a temporary immigration status for human trafficking survivors) and provided recommendations for immediate change. We continue to communicate with DHS to ensure safety and support for all survivors. Freedom Network USA has developed extensive recommendations for DOJ’s Office for Victims of Crime (OVC) and HHS’ Office of Trafficking in Persons (OTIP). These two agencies administer the primary forms of federal funding for trafficking victim services.  Freedom Network USA’s recommendations aim to ensure services are available to all trafficking victims, regardless of their age, gender, nationality, gender identity, sexual orientation or form of trafficking.